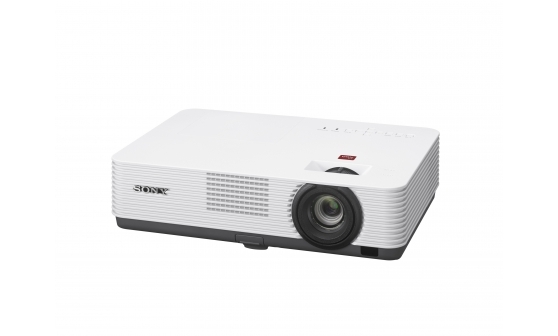 The VPL-DX241 XGA projector is a cost-effective yet fully-featured choice for clear, bright presentations in offices, smaller meeting rooms and school classrooms. Light, compact and energy efficient, it's easy to set up and connect with other devices. Powerful 3,300 lumens colour light output with 3LCD BrightEra™ panel technology ensures crisply detailed XGA resolution images that are always seen clearly, even in brightly-lit rooms.